Olive Priscilla Stucky Kirkendall, age 90 years formerly of Niles, Michigan went to her eternal rest on Thursday, January 3, 2019 in Marietta, Georgia. She was born on December 4, 1928 in Scottsburg, Indiana to James W. Cravens and Hazel (LaMaster) Cravens. In 1947, she graduated from Thomas M. Cooley High School in Detroit. She continued her education at Alma College (Michigan) and earned a Bachelor’s degree in English Literature from the University of Michigan (Ann Arbor). She had lived in Niles since 1954, taught at Country Lane Preschool for over a decade, and moved to Georgia in 2016. Over the years, Olive was active in many local community organizations including, AAUW, League of Women Voters, PTA, Brownies and Girl Scouts. Fernwood Botanical Garden enjoyed her continual support. She was a member of the Michiana Landscape Study Club and the Niles Garden Club. An avid reader, she enjoyed sharing that interest with others, including the Readers Circle Book Club. As a parishioner of Trinity Episcopal Church in Niles, Olive served in a variety of capacities from teaching Sunday school to tending the gardens. She was the consummate hostess, making every guest feel honored, and quietly accommodating each special need. Her greatest joy was caring for her family. On January 2, 1953 in Fukuoka, Japan she married Lieutenant Harry B. Stucky, United States Navy and they lived in Japan for a year. Harry eventually retired as a Lieutenant Commander of the U.S. Navy Reserve and as an engineer at the former Bendix Corporation in South Bend, currently Honeywell. They celebrated the thirty-eighth anniversary of their wedding prior to his death on May 23, 1991. Later, on October 17, 1992 in Niles she married Donald H. Kirkendall with whom she celebrated fourteen years prior to his death on March 21, 2007. She was also preceded in death by her parents and her brothers, Ralph, Raymond, Edward, James, Glenn and step-daughter, Terri. Surviving family includes her children, Kathleen Stucky of Hangzhou, China, Marjorie (& Jeffrey) Burdine of Dallas, Georgia, and H. Bart Stucky Jr. (& Lynn Taulbee) of Santa Fe, New Mexico; stepchildren, Chris Kirkendall (& Raquel) and Donna Lucier; grandchildren Benjamin, Kathleen, Daniel, Micah, Seth, Jared, Olivia, Erin, and Anna; great-grandchildren Ayden, Madeleine, Gabrielle, Luke, Eliza, Charlotte, Oliver, Lucy Claire; and many nieces and nephews. 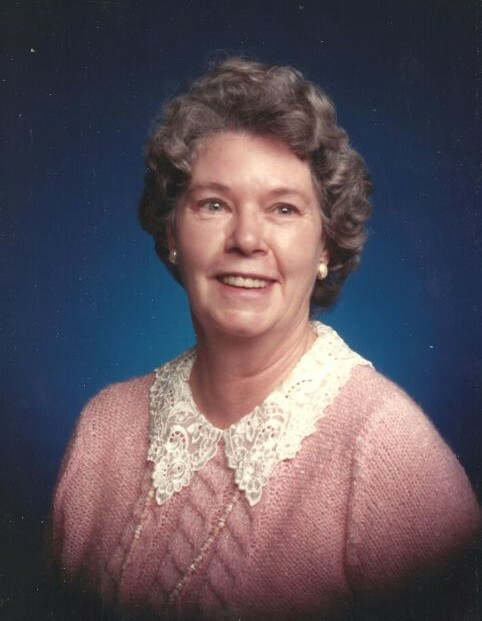 The memorial service for Olive P. Kirkendall will be at 11:00 a.m. on Thursday, February 7, 2019 at Trinity Episcopal Church, 9 South Fourth Street in Niles with The Reverend Diane M. Pike, Rector of the Southwest Michigan Episcopal Covenant officiating, assisted by The Reverend James Slack, retired. Committal will be private, at the Silverbrook Cemetery in Niles. Contributions in memory of Olive may be made to Trinity Episcopal Church or to Fernwood Botanic Garden and Nature Center, 13988 Range Line Road, Niles, Michigan 49120; http://www.fernwoodbotanical.org.